​​Yasiel Puig isn't playing around. After being late to his ​press conference and taking shots at the Dodgers' attendance numbers without him, Puig is now walking the walk. 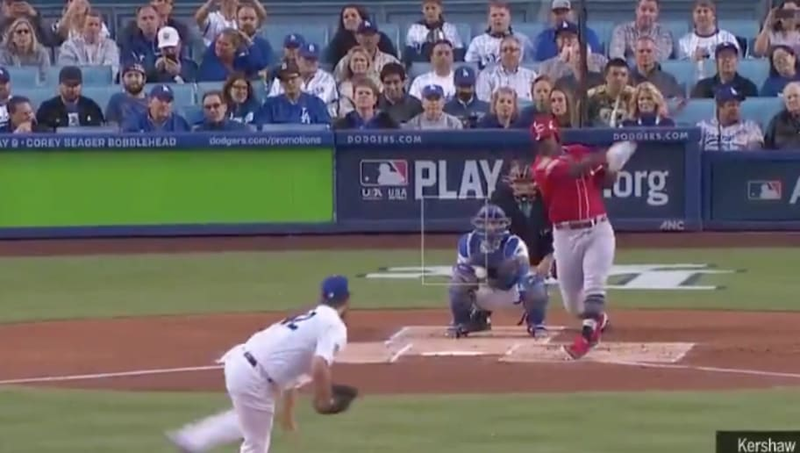 The Cuban outfielder just hit a two-run bomb off Clayton Kershaw. What a moment. Welcome back, Yasiel. Puig doesn't have much hate towards his former organization, as the trade was good for both sides. Puig needed a fresh start with an organization which could put up with his nonsense, while the Dodgers wanted to rid themselves of a relationship which had arguably turned toxic. That being said, there's plenty of motivation for Yasiel in his LA return. One swing of the bat proved just that.